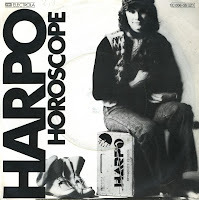 Swedish singer Harpo is best known for his worldwide hit 'Moviestar', which was a hit in 1975. He followed that single up with this one: 'Motorcycle mama', a song with a lyric that mentions various Sixties phenomena, such as Woodstock, Jimi Hendrix, Sgt. Peppers Lonely Hearts Club Band and Ravi Shanker. Still, it only charted in Sweden and Denmark, peaking at number 8 and 9 respectively. This single is memorable (or should be) because of the B-side, as it gives us a Christmas song, and one that hasn't been played to death. 'Beautiful Christmas' was written by Harpo himself. You won't find it on most of the Christmas compilation albums, so I consider this to be a rather exclusive Christmas experience. Enjoy! 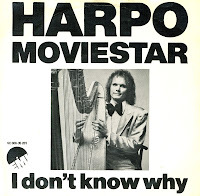 Although I am not familiar with most of Harpo's work, I bought three singles by him on one day. This is the third and last one. 'Horoscope' was released in 1976, as a single from his album 'Moviestar'. It reached number 1 in Denmark and was also a hit elsewhere in Scandinavia. 'With a girl like you' was written by Reg Presley and a hit single for the Troggs in 1966. 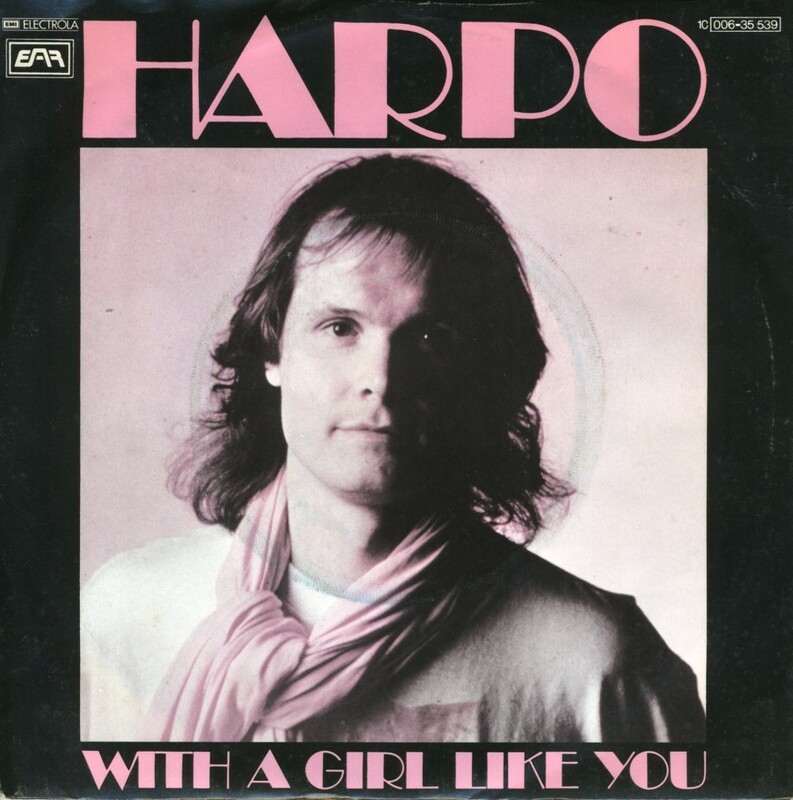 Swedish singer Harpo released his version of the song in 1978. Although the single was released all over Europe, it was not a hit. The B-side of the single features 'Ballad of Los Angeles', written by Harpo himself. He actually travelled to Los Angeles in 1977, and this song was one of the creative results from that trip. 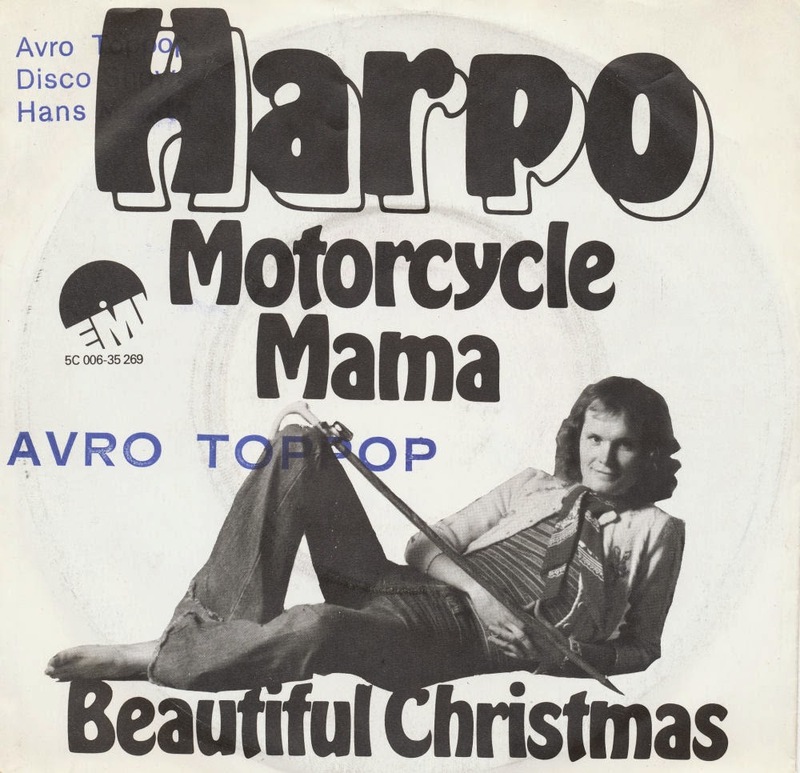 After his Europe-wide success with 'Moviestar', Swedish singer followed this single up with 'Motorcycle mama' in Decembe 1975. 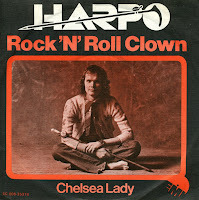 It didn't reach the Dutch Top 40, and for a year, Harpo went silent. He came back in January 1977 with 'Rock 'n' Roll clown', which showed signs of it being a novelty song, with its 'Hee haw haw' chorus. Barely missing the Dutch Top 40 again, Harpo disappeared from view in the Netherlands. Apparently, he went on to have great success in his homeland Sweden. I remembered this single from my childhood, and so I didn't pass up the opportunity to buy this after all these years. Jan Harpo Torsten Svensson was born on April 5, 1950 in Stockholm, Sweden. In 1975 he rose to international fame with his song 'Moviestar'. It reached number one in Sweden and Germany, number 2 in Australia and the Netherlands. Although Harpo is still active in the music business to this day, he never repeated this level of success. One of the backing singers on 'Moviestar' was Frida from that other famous Swedish act, Abba. I am sure that I didn't know this as a kid, even though I was an Abba fan, but the song had an incredible impact on me. I loved the melody, the strange accent in the vocals, and played my sister's copy of the single time and again. I bought my own copy in 1991.